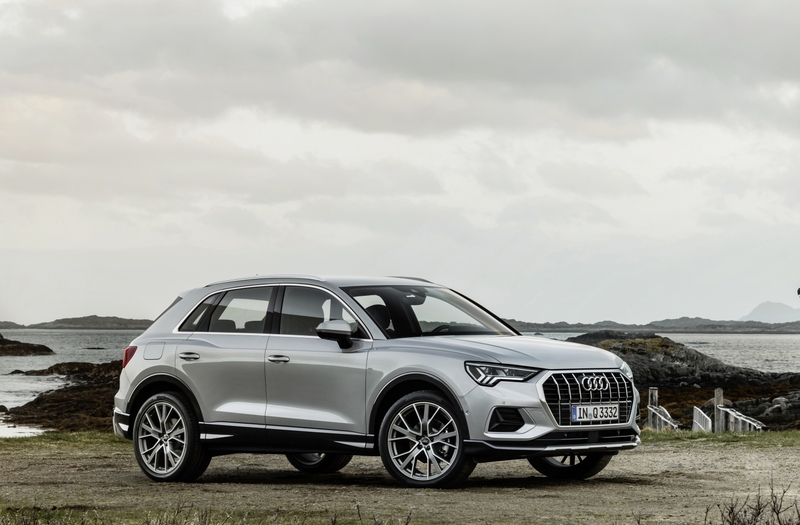 Year, Make, Model: As predicted by previous rumors, Audi has taken the wraps off of its second-generation 2019 Q3. The subcompact crossover rivals the BMW X1 and Mercedes-Benz GLA while slotting, naturally, between the Q2 and Q5 in Audi's lineup. 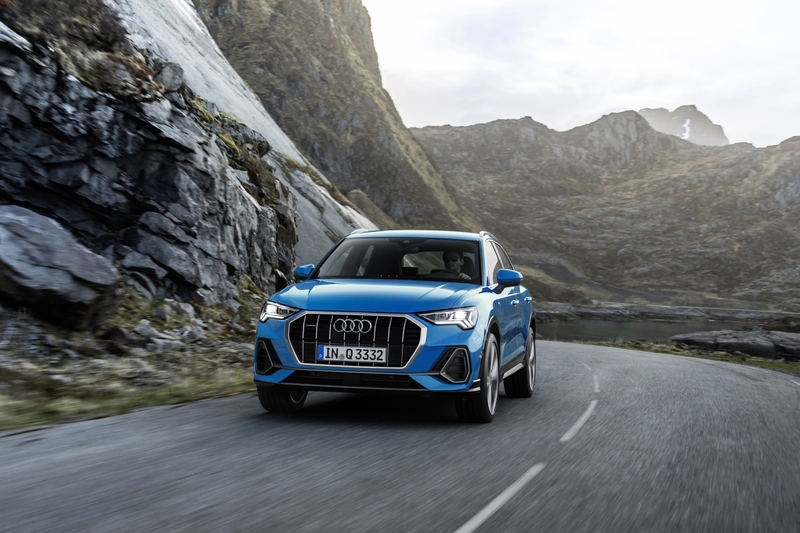 What's New: Audi's entry-level SUV is all-new for 2019, coming in with a fresh design that's sportier and punchier than the one it replaces. Its large, octagonal corporate grille coupled with some handsomely sculpted fenders make for a small luxury crossover that looks scrappy yet dignified, albeit not overly exciting. Par for the luxury crossover course, then. Stepping inside, the Q3 gets Audi's 10.25-inch virtual cockpit in lieu of traditional gauges as well as a 10.1-inch touchscreen on a center console that's tilted precisely ten degrees towards the driver. Sehr sportlich. Audi says the sophomore Q3 is bigger in all dimensions, with a wheelbase that's 3 inches longer than before. With all the seats folded down, this bad boy can fit a whopping 53.9 cubic feet of cargo. 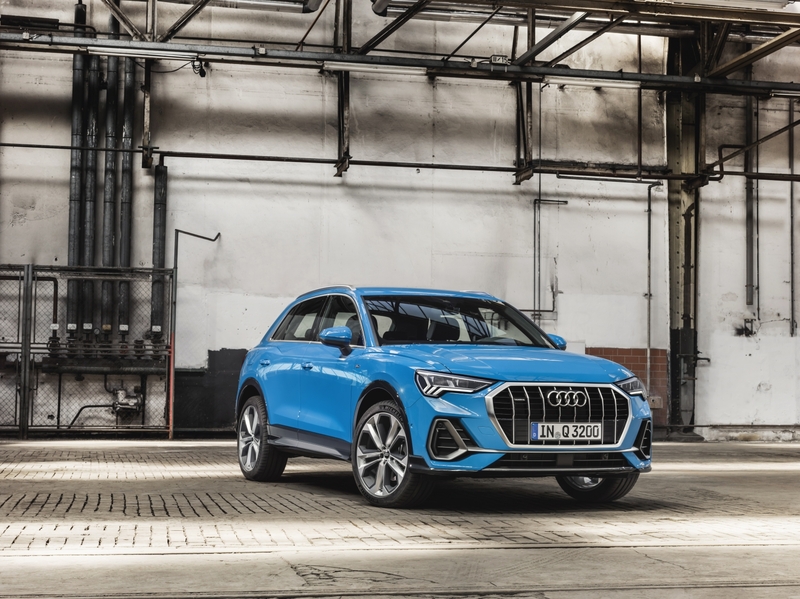 In Germany, the Q3 will come with a selection of turbocharged four-cylinder engines with outputs ranging from 150 horsepower to 230 horsepower. In its home country, this thing will even be available with a manual transmission. No word on whether that'll come stateside but I wouldn't hold my breath. Most buyers will likely opt for the seven-speed S tronic automatic. As for tech that makes maneuvering the Audi easier, the new Q3 gets adaptive cruise assist, four 360 degree cameras, and park assist. 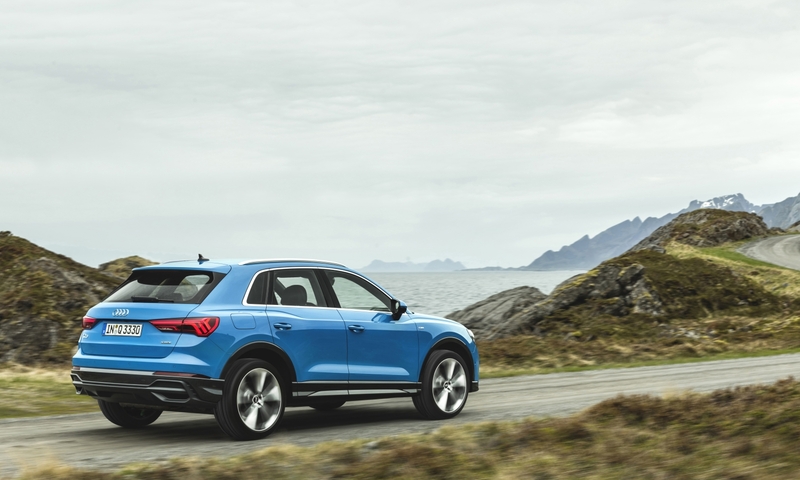 Quotable: Per Audi's press release, "In the second generation, [the Q3] appears not only visually more self-confident, but also roomier and more versatile. Just like the Audi top-of-the-line models, it features a fully digital operating and display concept, extensive infotainment solutions and innovative assist systems. They enhance comfort, as does the further developed suspension." What You Need to Know: The current 2018 Q3 starts at $32,900 and is the second-cheapest car with four new rings on its grille. The A3 sedan starts around $1,000 less. Expect the new car to occupy the same space. Those with a bit more cash to splash and an appetite for speed can look forward to an RS Q3 in the near future.